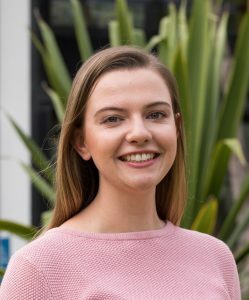 Hannah Skipworth is a Masters Candidate at Monash University, Australia. Her research focuses on twelfth-century religious culture in Germany, and how the natural world was understood in this context. She is interested in how book-learning interacted with the natural world in the writings of Honorius Augustodunensis, Hildegard of Bingen, and their contemporaries. More generally, Hannah is excited by Environmental History and hopes to pursue this in future research. She is a Postgraduate Committee member for the Monash Centre for Medieval and Renaissance Studies (CMRS), and has been involved in Monash’s Centre for Undergraduate Research Initiatives and Excellence (CURIE) since its inception. Hannah was elected to the ANZAMEMS Committee in 2018.